Labuan is a special region of Malaysia where investors can benefit from numerous tax incentives. 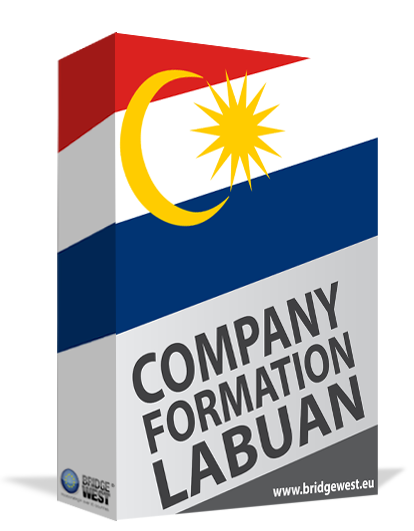 The company formation procedure is much simpler in the jurisdiction of Labuan and businessmen can choose from two main types of companies: Labuan international company (IBC) and the Sendirian Berhad (SND BHD) – which refers to a private company. Those who are interested in opening a company in Malaysia can register a Labuan international company (IBC), which provides several advantages, many related to the taxation of the entity. Our team of company formation consultants in Labuan can offer in-depth details related to the registration of this type of legal entity. Foreign investors interested in company incorporation in Malaysia should perform several compulsory steps in order to open an IBC in Labuan. The businessmen will first have to register the company, a process which starts by establishing the business purpose of the entity, as well as its internal structure. The businessmen will also have to propose up to three trading names for the business. • the Central Bank of Malaysia. The tax regime for international companies in Labuan is appealing to foreign investors who decide for such type of company in Malaysia. For instance, trading companies do not need to pay the 3% tax rate on profits, but a fixed tax of RMB 20,000 or approximately USD 5,000 without having to consider an audit. As for the investment holding companies in Labuan, these do not need to pay taxes in this offshore jurisdiction. Import and export companies in Labuan require audit reports and need to consider the 3% tax rate imposed on net profits. Non-trading companies in Labuan are not subject to taxation. It is good to know that IBCs in Labuan are not subject to VAT, sales tax or GST. There are varied requirements to consider at the time an international company in Labuan is established, but complete information in this matter can be obtained from our team of company formation agents in Labuan. The differences between IBCs and Snd Bhd companies in Labuan will determine the business direction of a foreign entrepreneur in Malaysia. For instance, there is no need for a trade license for import and export activities as an IBC in Labuan, compared to a Malaysian Sdn Bhd. In terms of taxes, the international and local sales of an Snd Bhd are subject to a 24% tax rate. As for an IBC in Labuan, the international sales are subject to a 3% tax rate. As a common thing between the two types of companies, we mention that the double taxation agreements signed by Malaysia with countries worldwide are protecting such businesses from paying the taxes twice. Feel free to address your inquiries to our team of advisors and solicit assistance and information when opening an international company in Labuan. The management of an IBC in Labuan is not subject to harsh requirements, however, it is best to observe a few facts in this sense. For example, the owners of such companies can decide on one director who will be in charge of the daily operations in the company. Having easy management allows foreigners to determine the business direction and implement the company’s strategies. Also, having 100% ownership in the company is one of the main advantages of opening a Labuan International Company, bearing in mind that ownership is completely secured. Among the advantages of an IBC in Labuan is that the owners can easily obtain the residency visa. There are lower costs for setting up such companies and the management is not subject to harsh formalities as there is no need for more than just one director. Registering for tax purposes is less restrictive and more than that, the taxation regime is appealing to many investors from abroad. IBC owners do not need to apply for special licenses and permits compared to Malaysian Sdn Bhd companies. A Labuan international company can be easily established if the main steps of the process are respected. The first one refers to the registration of the business by submitting the needed documents, followed by the application for Labuan business visa, the opening of a bank account and the registration for tax purposes. The Inland Revenue Authority, the Central Bank in Malaysia, Labuan Financial Services Authority and Malaysia Immigration Department are the relevant authorities in charge of the registration of international companies in Labuan. The business purposes need to be clearly stated by the company’s documents. It is important to know that the owners of an international company are not accepted without a clear criminal record which is normally verified by the Malaysian authorities. The governing legislation in Malaysia mentions that an IBC owner needs to have a good reputation, needs to be honest and reliable, not dealing with business crimes in the past. The relevant authorities can make the verifications in this sense, and the governmental institutions agree on the provided documents for the international company in Labuan. It is recommended to ask for information about how to open a company in Labuan as a foreign investor and especially IBCs. Even though such companies can be established with fewer formalities, it is suggested to ask for assistance from our team of company formation representatives in Labuan who can handle all the requirements for establishing a Labuan international company. Our experts can help both local and foreign entrepreneurs who are interested in developing their portfolios in Malaysia. The Labuan international company provides several advantages to its investors. Firstly, it allows the registration of the company with 100% foreign ownership. The minimum share capital of the company is established at USD 1 and the business entity can have up to 50 shareholders. Such companies do not require obtaining trading licenses for various activities, which are normally required for other business forms. At the same time, they benefit from the provisions established by the double taxation treaties enforced here. The tax for the company’s net profits is set at 3% for international sales, while sales performed in Labuan, Malaysia, are taxed at the rate of 24%. Investors who have further questions on the IBC in Labuan are invited to contact our team of company formation agents in Labuan for more details.